Robert's passion for real estate started at a very early age. Watching his parents take on the roles of restaurateurs and landlords was essential to his upbringing and his career. Raised in the hospitality industry, Robert learned the significance of client services, hard work, and tenacity. He eventually inherited the role of property manager and consultant of his family's property investments, developing a keen eye for market trends and property value in the process. 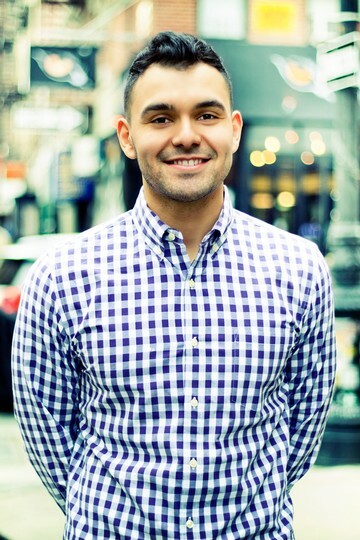 His unparalleled customer service skills and interest in the real estate industry eventually led him to become a licensed NY based Real Estate agent. Robert is passionate about matching potential tenants with the apartment of their dreams. Robert strives to exceed his client's expectations, providing them with an efficient, stress-free, and memorable experience every time. He is dedicated to not only finding a unit for his clients, but a place they can wholeheartedly call home.